Mr. Burgess is a Baltimore native and was educated at The Manlius Pebble Hill School. He went on to attend Hamilton College to receive his B.A., and attended the University of Maryland where he obtained his J.D. Mr. Burgess first served as a law clerk to the Honorable Austin W. Brizendine in the Circuit Court for Baltimore County, and has practiced in Baltimore for over 30 years. Mr. Burgess is well regarded as an attorney for many family owned businesses, and has assisted, on an on-call basis, these families over the years with their transaction and estate planning needs. As a National Association of Federal Credit Union (NAFCU) certified compliance officer (NCCO), Mr. Burgess has knowledge of the increasingly complex rules affecting financial institutions. He has served for over 20 years as a volunteer director of the Baltimore County Employees Federal Credit Union and as Board Chair (2005 - 2015). Mr. Burgess has received an AV Preeminent Peer Review rating, the highest rating given, from Martindale-Hubbell, the preeminent peer review rating company in the country. 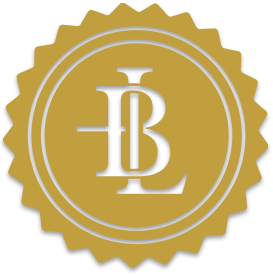 Mr. Renner is of counsel to Burgess Law LLC, where his main areas of practice are probate, taxation, estate planning, and business law. Mr. Renner has spoken previously before professional and civic groups on probate and taxation, and other related topics. He is the coauthor of various publications by National Business Institute. Mr. Renner earned his B.S. and J.D. degrees from the University of Maryland. He is past chairman of the Review Board of the Attorney Grievance Commission and a past member of the Inquiry Committee of the Attorney Grievance Commission. Mr. Renner is also a member of the Baltimore County Bar Association; the American Bar Association; and the Maryland State Bar Association. Amy K. Finneran is of counsel to Burgess Law LLC. Admitted to the Maryland State Bar in 2002, Mrs. Finneran began her practice of law at the firm of Mister, Winter & Bartlett, LLC where she worked for nearly 16 years. During her time with Mister, Winter & Bartlett she practiced in a variety of areas including appellate law, alcoholic beverages licensing, the sale and acquisition of businesses, family law, criminal law, complex business litigation, administrative law, personal injury, and other civil matters. Mrs. Finneran has represented clients and litigated cases in various jurisdictions including Baltimore, Carroll, Howard, Anne Arundel, Harford, and Prince George’s Counties, as well as the Maryland Court of Special Appeals and Court of Appeals and U.S. District Court for the District of Maryland. More recently, Mrs. Finneran was Of Counsel to the Law Offices of Mary G. Loker where she assisted with estate and real estate matters. ​One of Mrs. Finneran’s areas of expertise is in handling cases that proceed to Maryland’s appellate courts and she has co-authored several successful briefs in both the Court of Special Appeals and Court of Appeals. Ms. Finneran’s affinity for research and legal writing enables her to identify appellate issues, provide a thorough analysis and draft persuasive arguments to be presented to any court. Mrs. Finneran is a member of the Harford County Bar Association.